In 1978 Patrick and Gaye Murphy made a decision to grow larger amounts of garlic to meet New Zealand's demand for quality garlic. The worthy contributions of family, friends, employees, Marlburians and others to the iconic Marlborough crop for over 30 years, have made Marlborough Garlic what it is today. The Murphy’s got involved in the current location in the 1980s when it was a co-operative. At that time, there were 20 other families in the province growing garlic on a commercial scale. Now, there are only two. While Marlborough Garlic produce around the same quantity as they did in the 80s and 90s, there have been significant changes in the market. The core of our business focused on exporting premium product to Australia, second grade garlic to Fiji, and the leftover for New Zealand. At the same time, the advent of grapes occured in Marlborough. This resulted in a squeeze on resources for the garlic industry, so to some extent Marlborough Garlic is the last man standing. The advent of China entering the global garlic market in the early 90s meant the commoditisation of garlic, which effectively dissolved New Zealand’s production of garlic. Of the 20 families producing garlic in Marlborough in the early 90s there was about 2000 tonnes produced – a lot more than now. We discontinued exports to Fiji which is now completely Chinese garlic. Australia, which was previously a big performer for Marlborough Garlic, is now also predominantly made up of Chinese garlic. However, we realised New Zealanders were happy to pay a few cents more for a product that came out of their backyard. That lead to us focusing solely on New Zealand. And in the last twenty years, New Zealanders are still happy to buy our garlic over imported garlic. Marlborough Garlic’s key philosophy is to supply the domestic market throughout the year with in-season premium New Zealand garlic and shallots. Marlborough Garlic Limited grows all of the product that it packs and processes. Quite simply, it is to be New Zealand’s Premier Garlic and Shallot Company, offering a sustainable supply of quality and superior tasting products to New Zealanders and abroad. In a few words, we value: innovation, experience, expertise, integrity, sustainability of supply and a customer focus. "It's my role to inspire our company to be a good grower and one that people want to work for. The perfect garlic bulbs are almost impossible to grow, but I enjoy the challenge." "My role is to manage a team of skilled farmers to grow and harvest the best crops possible each season." "My role is to run the business as a sustainable company that is a market leader. Part of this is finding new ways of doing things and looking for opportunities for the company. My vision is a world leading company that people trust, because they know that we grow 'the right way'." Garlic is traditionally planted on the shortest day of the year, and harvested on the longest day of the year. We plant and harvest our garlic later in August/September because over time the varieties we use have adapted to New Zealand conditions. Garlic grows from a clove which dies over the course of the growing season, leaving in its place a shoot which in 6 months time becomes a bulb. Marlborough’s sunny but chilly winter conditions give garlic an ideal opportunity to grow well. We plant garlic by machine and use a mix of machine and human labour for harvest. During harvest the leafy part of the plant is topped. Following time drying in the sun in the paddock, our garlic is cured using forced air dryers specifically built for drying garlic. Before our garlic is ready for the market, the roots are clipped by hand and the product is cleaned in our pack house. Our field and pack-house staff are absolutely key to our operation. Their hard work and attention to detail ensures that quality product reaches your plate. Garlic requires very little chemical insecticide and pesticide spraying compared to other crops. We are accredited under New Zealand’s GAP (Good Agricultural Practice) standard – www.newzealandgap.co.nz. This means that we accurately record all chemical application, and use advanced quality assurance standards. We use approved fertiliser that is appropriate for food production. Our raw Marlborough garlic has a strong, pungent and slightly heated taste. A lot of people will associate garlic with having a strong, spicy flavour that mellows and sweetens when cooked. While cooking softens the flavour, roasting gives garlic a well-balanced nutty flavour. We have a full range of fresh, dehydrated, crushed, peeled, and whole garlic products. We also have a range of garlic varieties. We are in supermarkets and specialty stores throughout New Zealand. If the garlic you're buying is from NZ, it's probably from us. It is widely accepted that garlic can zap bacteria, keep your heart healthy, and ward off coughs and colds. New Zealand Garlic also transforms any meal into a bold, healthy and tasty gourmet experience. Shallots have a mild taste that combines the flavour of a sweet onion with a touch of garlic. They can be used in similar dishes to ones where garlic and onions are used, but have a more subtle gourmet taste than onions and tend to have a faster cooking time. Some varieties of shallots are more elongated than others, while some are more rounded. Shallots are the other significant crop that we have grown for many years. Planting several varieties means we can have supply throughout the season. We have added peeled shallots to our offer to the Foodservice industry, to reduce another of those tedious jobs that everyone steers clear of. Shallots are packed with dietary fibre, protein, vitamin C, potassium, folate, vitamin A, vitamin B6 and manganese. This makes Shallots a great aid with circulation and metabolism. Further, they have been found to help decrease blood pressure. The fermentation process that produces black garlic reduces the pungent odour and strong flavour that garlic is known for. Instead, this palatable number has been compared to that of a dried fruit, smoky, sweet and slightly chewy. Others have said it tastes more like liquorice than garlic. As well as inheriting the nutritional value of white garlic, black garlic has additional good stuff. The month long fermentation process that changes white garlic to black garlic creates a kind of super garlic. Black garlic has been found to have twice the antioxidant properties of conventional garlic. Moreover, the compound S-allycysteine, a natural component of fresh garlic is found in much greater concentrations in black garlic. 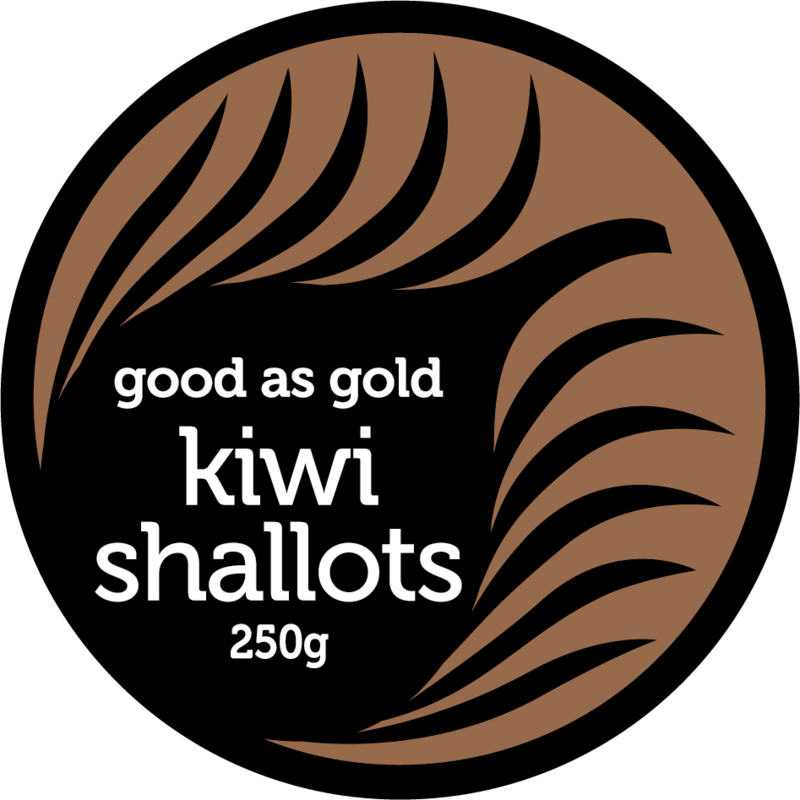 Ask for it at your local North Island New World produce department and in stock at over 30 Countdown Supermarkets and specialty stores throughout New Zealand or ask your local Fruit and Vege store for it by name. In Australia ask at your local Coles store or in New South Wales try at your closest Harris Farm Market.